Blake AugsburgerNORTHRIDGE, CA-Blake Augsburger, president and chief executive officer of the Harman Pro Group, is expanding his responsibilities and assuming the newly created position of country manager, Harman USA. In his new assignment, Augsburger will report directly to Harman International chief executive officer Dinesh Paliwal. As country manager of Harman USA, Augsburger will be responsible for the management of support functions that cross divisional and business lines. He will serve as the country champion for functional best practices and will directly participate in such business activities as project risk review, large supply contracts or investment proposals, significant operational changes or restructurings, organizational and legal issues, and key human resource decisions. Furthermore, he will serve as the chief spokesperson for Harman in the U.S. to build brand equity. He will also serve as liaison to the chief executive officer for implementation of group directives. Augsburger first joined Harman International Industries in July 2001, when he was appointed president of Crown International. 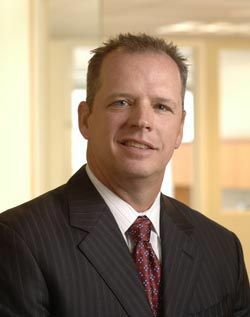 He served as president of Crown until June 2006 when he was promoted to the position of president and chief executive officer of the Harman Pro Group.